No Man's Sky was the highest selling new release. Hello Games’ 18 quintillion planet exploration game, No Man’s Sky, was the highest selling new release in Japan last week, the latest Media Create sales figures reveals. It sold 22,200 copies on PlayStation 4. 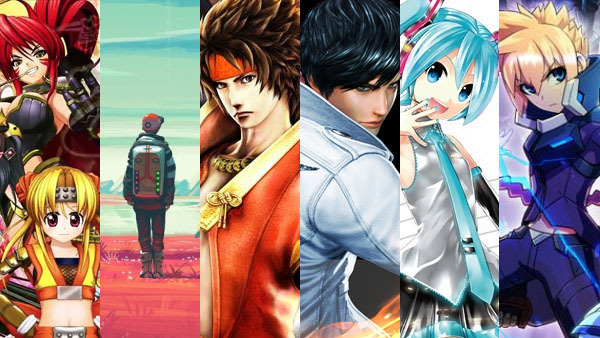 Other new releases this week include Capcom’s Sanada Yukimura-focused Sengoku Basara game, Sengoku Basara: Sanada Yukimura-Den, which sold 27,388 units across PlayStation 4 and PlayStation 3, SNK’s fighting game sequel The King of Fighters XIV for PlayStation 4, which opened at 20,655 copies sold, and the PlayStation 4 version of Sega’s Hatsune Miku: Project Diva X, which launched at 12,915 sales. New handheld releases include Shirogumi New Media Development’s Sengoku Otome: Legend Battle for PS Vita, which sold 16,054 copies, and Inti Creates’ Azure Striker Gunvolt: Striker Pack for 3DS, which sold 6,426 units. Nintendo’s Metroid Prime: Federation Force did not chart.